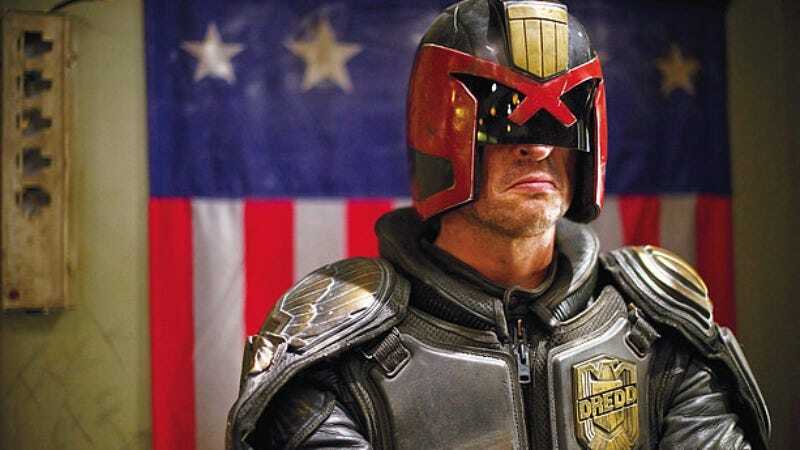 Despite poor box-office performance and harsh criticism from eminently reputable sources, 2012’s Dredd—a film adaptation of the popular British comic series—gained a cult following among fans of stylish ultraviolence after it was released on home video. Those fans wanted a sequel and were willing to do anything to get it, up to and including creating an elaborate music video that implored Hollywood simply to “Make Dredd II,” a simple but powerful call to action that producers surely would not fail to answer. They failed to answer. According to io9, Dredd writer Alex Garland revealed in a recent interview that a sequel was not going to happen, and that if it did, no one from the original production would be involved. There isn’t, as far as I can tell, going to be a Dredd sequel. The basic mechanics of film financing say that if you make a film that loses a ton of money, you’re not going to get a sequel. And that’s basically what happened. And I understand and appreciate the support the film has had, and the campaigns that have existed for it, and it’s really genuinely gratifying — I love it in all respects except one, which is when I hear about people buying copies of the DVD in order to boost sales and to change the figures. And what I want to say to them is, “Don’t do that. Keep your money.” Because the people that are making the decisions are much colder and harder than that. And the graphs they’re looking at are not really going to be sufficiently dented by that. So the support for the film is truly appreciated. But if there is going to be a sequel, it’s not going to be me and the team of people who worked on the previous film, it’s going to be another bunch of people. And good luck to them, and I hope it happens. I really do. I hope they do a better job than we did. The lesson, as always, is to never try. At least we’ll always have the music.